I probably met my great grandma Witt at some point when I was very young. Helen Bixler Witt died in January 1985, two months shy of my third birthday. 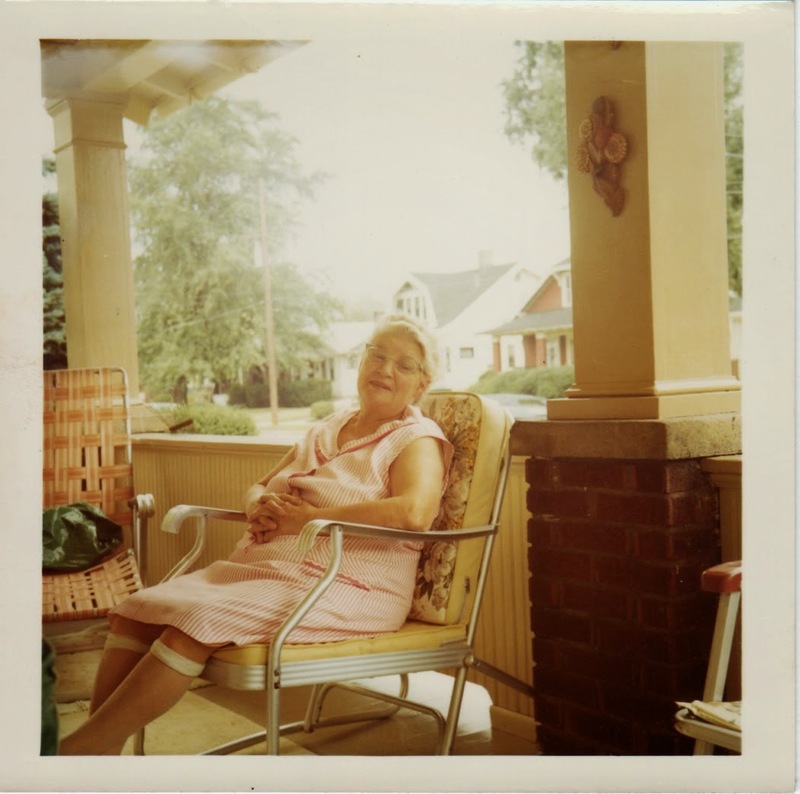 This photo of her was taken on her porch on North Osborn Street on Youngstown’s West Side in the late 1970’s. You can get a more recent view of the houses in the background by clicking here (link). Helen Bixler Witt (1898-1985), photograph, taken at 24 N Osborn Avenue, in about 1977; digital image, photocopy of original, scanned in 2013 by Joseph Lowry; privately held by Marie Dockry, [address for private use], Austintown, Ohio. Woman sitting in a porch chair in housecoat. Provenance is Marie Dockry to Joseph Lowry.